Japanese electronics specialist Denon has long been in the compact home audio system game, but it's about to up said game with the latest addition to its popular M range - the D-M41DAB. The big new selling point? That would be the introduction of Bluetooth connectivity, which offers even more ways to connect to smartphones, tablets, laptops and more. The all-new D-M41DAB combines the RCD-M41DAB CD receiver and matching SC-M41 speakers, while building on the success of the multi-award-winning D-M40DAB. The result is a compact yet powerful setup that combines FM/DAB+ functionality and more to create one of the best ways to transform you music - be it from a CD or via a Spotify playlist. Add to that high precision digital/analogue converters and a Triple Noise Reduction system for even clearer audio crispness and you're in for a musical treat when you hook it up at home. 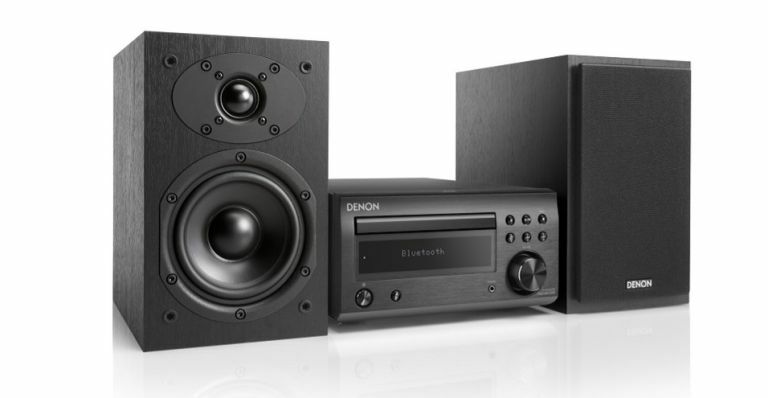 You Denon D-M41DAB will be priced at £379 in the UK and will be available to order shortly. Friday Fab Four alert! Henley Designs (the exclusive UK distributor of Pro-Ject Audio Systems) has revealed two new special edition Pro-Ject 'Beatles turntables'. Designed to commemorate the 50th anniversary of the iconic Sgt Pepper's Lonely Hearts Club Band album, the limited edition 2 Xperience SB: Sgt Pepper Limited Edition and non-limited Essential III: Sgt Pepper‘s Drum are striking examples of when fan memorabilia is combined with real performance hardware. Limited to 1,000 pieces worldwide, the 2 Xperience SB: Sgt Pepper Limited Edition is the ultimate piece of memorabilia; combining a nice mix of technology, style and sound. The 2 Xperience SB: Sgt Pepper Limited Edition will be available from late-May 2017 with a price tag of £1,235. World’s Fastest Gamer is a collaboration between global sports and technology brand McLaren, founding partner Logitech G, a global leader in gaming gear and the founder of virtual motorsport’s famous GT Academy, Darren Cox. Billed as ‘the best job in esports’, the battle is to find McLaren’s newest recruit who will be offered a one-year contract to work in an official capacity as a simulator driver. The competition will see you take on a variety of racing titles across lots of platforms, and best of all, the winner will be offered a one-year contract with McLaren to work in an official capacity as a simulator driver. Six international finalists will be hand-picked by experts in both gaming and Formula 1 to join this year’s competition. A further four finalists will be selected from qualifying events online during summer 2017. The competition will be viewable at every stage via a dedicated YouTube channel and McLaren’s social media channels.